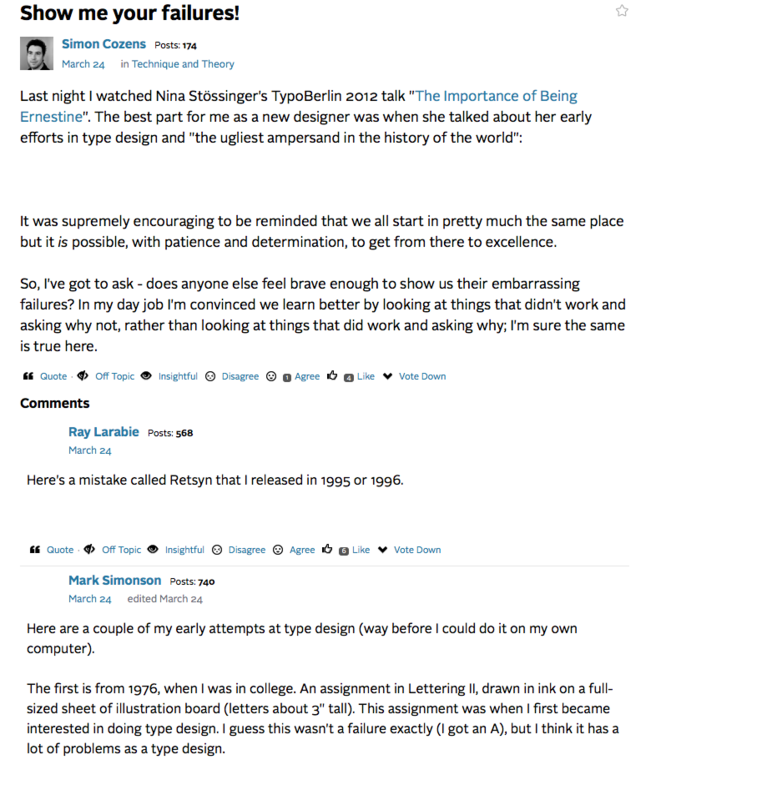 I don't have clue why, but I don't see any pictures (including profile pics) anymore on TypeDrawers. So I've added a picture to this post that shows the lack of pictures, but I also don't know if it shows up... Anyway, you get the idea. Maybe try a different browser? I’ve had picture hiccups (not here, but elsewhere) with my installation of Firefox vs. Safari. I see all the pictures too. Sounds like you probably have a corrupt browser cache or you’re running a buggy plugin. Clear your browser crash. If that doesn’t work try disabling all plugins and testing them individually.